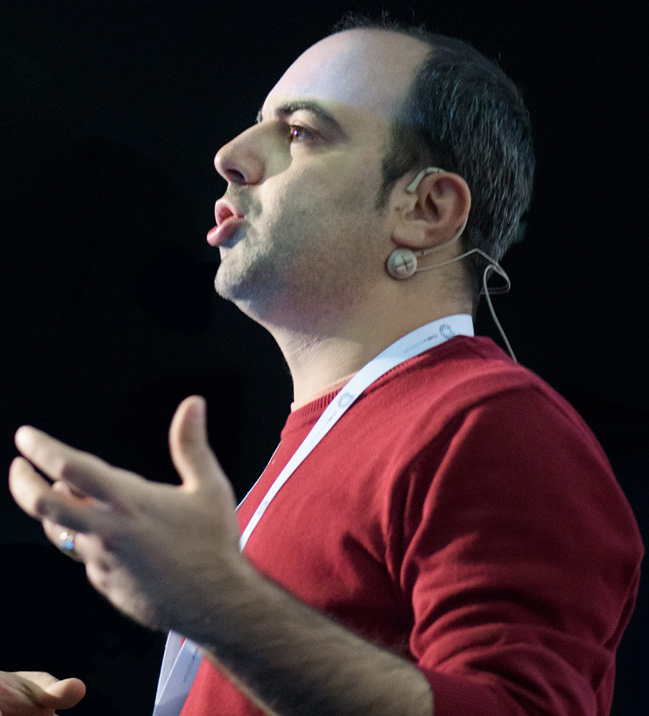 I assume that you have probably started using Windows 8 RTM version as you are here checking out this blog post. 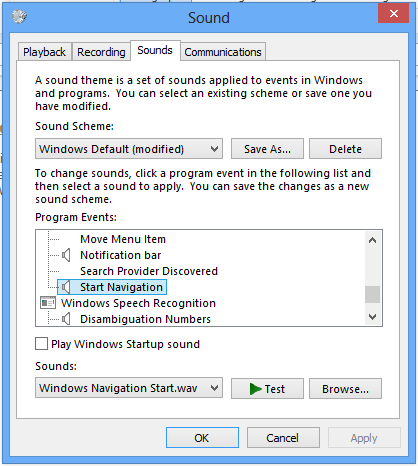 If the answer is yes, you may have noticed that the usual "chlick" sound is not there when you navigate through inside the Windows Explorer (I am not sure if the preview versions of Windows 8 had this characteristic but if they do, they apparently didn’t bug me that much). If you are a weird person just like me, it will eat you alive! Fortunately, it is not something hard to get it back. 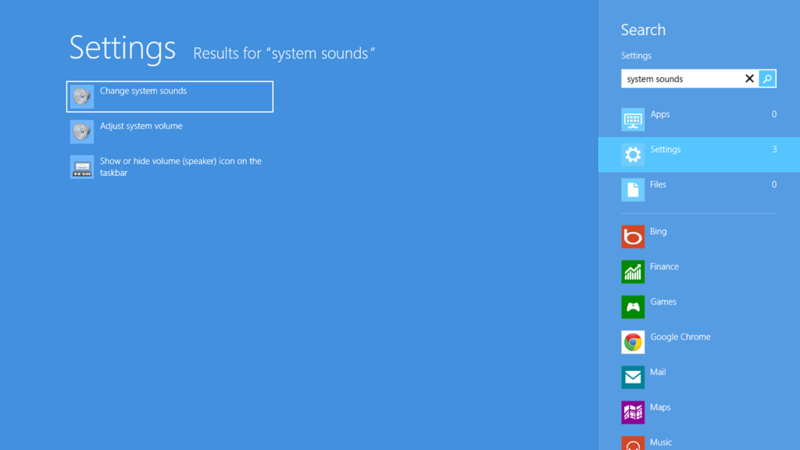 Just press Windows + W and type "system sounds". 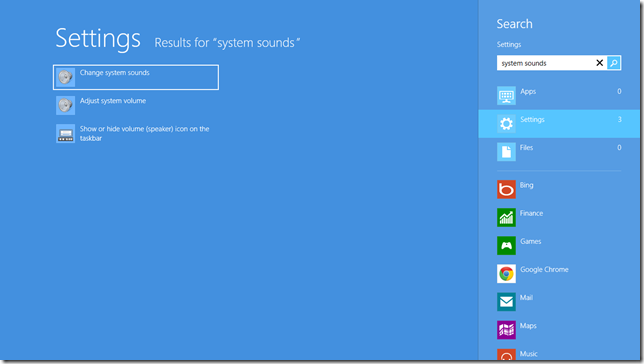 From the search results, click "Change system sounds" option as shown below. 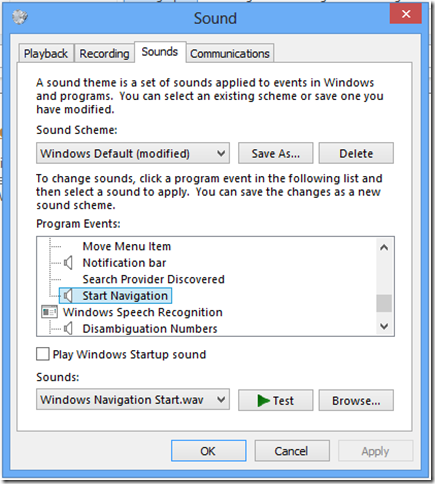 Then, the Sound configuration window will pop up and from the Sounds tab, find the File Explorer > Start Navigation event inside the Program Events list. Finally, you will see that it has no sound attached to it. Just find the Navigation Start.waw from the Sounds dropdown list and select it as shown below. When you apply the changes, you will get back the lovely sound back. I am not sure why they felt the need of leaving that out by default but the fix is easy as you have just seen.